Maui is the second largest of the Hawaiian Islands. Its diverse geography is what makes it unique. It is surrounded by 30 miles of sandy beaches. Aside from it's red, black and white sand beaches and crystal clear water, Maui also has high-altitude mountain slopes and lowlands. Maui’s diverse geography ensures that once there, you will never experience boredom. You will be enthralled by nature’s majestic beauty every minute of your stay. You will forever be in awe of the picturesque views that you have seen. You will be amazed at how richly this island has been blessed. Aside from the diverse geography, Maui also offers a variety of experience so tourists will not want for things to see and to do in Maui. You can just go sightseeing and discover majestic views or you could engage in a variety of adventure-filled activities that will make your vacation one that you will never forget. Whatever you want to do in Maui, you are sure to be able to unwind and forget about your worries. You can spend your vacation pampering yourself with all the comforts that a Maui vacation can offer. With its diverse geography and its rich culture, Maui is simply one of the best places to spend your vacation in. In Maui, you will get a chance to see the beauty of humpback whales. Every year, thousands of these whales migrate through the Pacific Ocean. From December to April, you will see these majestic creatures along the shores of Maui. The Kaanapali area is the most popular spot in Maui to see these majestic 40-ton creatures. You can also discover the Haleakala Crater, the peak of East Maui’s volcano. The stunning sunrise view atop Haleakala is world-renowned, making it one of the must-do things for tourists. Another thing to discover in Maui is the stretch of breathtaking sandy beaches. There are around 80 beaches in Maui, each with its own unique beauty that beckons tourists. D.T. Fleming Beach Park is a quiet beach at the north of Ritz-Carlton Hotel. Famous for its mile-long white sand and stunning views of Molokai Island, this was chosen as the Best Beach in America in 2006 by Dr. Stephen Leatherman. Ironwood trees provide the perfect shade for beachgoers. It is good for swimming, snorkeling, sunbathing, and surfing. Kaanapali Beach has 3 miles of grainy gold sand which makes it famous among beachgoers. Swimming in the summer is excellent here. Snorkeling, windsurfing, jet skiing, parasailing, and kayaking are activities that you can enjoy here. You will also be happy to know that located along its shore are hotels, condominiums, restaurants, and the famous Whaler’s Village shopping center. Wailea Beach is the best in Maui’s southwestern coast. This beach is located in front of the Four Seasons Wailea and the Grand Wailea Resort Hotel & Spa. The beach is also an excellent spot for swimming, snorkeling, and bodysurfing. Makena Beach in South Maui is where you will find Big Beach and Little Beach. Big Beach is one of the longest beaches on the island which is famous for family gatherings and picnics. Little Beach is situated at the northern end of Big Beach. Makena Beach is also a great place for swimming and bodysurfing. Hamoa Beach is one of Maui’s loveliest. It has gray sand, which is a mix of coral and lava. You will see black sea cliffs from there. You can go sunbathing, snorkeling and body surfing here. Another thing that you should not miss is the scenic views along Hana Highway. Driving through this road takes two to four hours. And the views along the way are simply breathtaking. It is also a must to visit the various attractions along the way -- Waikamoi Ridge Trail, Garden of Eden Arboretum and Botanical Garden, Puohokamoa Stream, Kaumahina State Wayside Park, Honomanu Bay, Keanae Arboretum, Keanae Village, Kaenae Peninsula, Wailua Valley Lookout, Wailua Peninsula Lookout, Pua'a Ka'a State Wayside Park, and Wainapanapa State Park. If you are the type of person who craves for adventure, Maui can definitely satisfy you. There are different land and water activities that you can try in Maui. You can scuba dive in Molokini and be enthralled by the diversity of Hawaii’s marine life. Paia is the best town for windsurfing and you can enjoy kite boarding at Hookipa Beach. You can also try the different hiking trails that abound in Maui. Sliding Sands Trail is a good hike going to the summit of Haleakala. The trail goes through lush rainforests, shrub lands, and coastal areas. Pipiwai Trail is one of the best hiking trails in Maui. Aside from the lush greeneries, this 4-mile trail will bring you to see great waterfalls and bamboo forests. Waihee Ridge Trail will bring you atop a mountain to see clouds. This 5-mile trail will lead across the lush forest. Once on top, you will see beautiful views of the Makamaka’ole Falls and Waihee Valley. Kuloa Point Trail is a half-mile easy trail which will take you to the ocean at Kuloa Point. Along the way, you will see hala trees and Hawaiian habitation sites. Wai’anapanapa Coastal Trail will bring you along the coastline of Hana Bay to Waianapanapa State Park. Biking is also one activity that you can do in Maui. There is a biking route going down Haleakala summit, which is great for competent bikers only. Another biking route is Kaupo Road. The 40-mile journey along this road will bring you along the top of jagged cliffs wherein you will see giant mango trees, guava trees, and banyan trees. The route also passes through Loa Loa Heiau and the Hui Aloha Church. Molokai has so many biking trails to choose from. The only disadvantage is that these trails can be slightly difficult if you are a beginner. Molokai has 125 miles of biking trails and it is possible to circle the island by riding a bike. Views along these trails include Kiawe forests, eucalyptus trees, silk oak, guava trees, and local vegetation. Aside from Molokai, Lanai has many biking trails as well. The 6-mile Mahana Trail consists of biking over hills and across loose soil. Another trail is the Paniolo Trail where you will pass through guava trees and grazing cattle. From the trail, you will see the majestic views of the dry land forest of Kanepuu. Another activity that is becoming more and more famous in Maui is the zipline. You can book the Haleakala Skyline Tour. This starts with a short hike across the woods, then you will cross 5 exciting zipline routes which will give you a majestic view of the waterfalls and lush rainforest. The Kaanapali Skyline Adventure starts with riding an off-road vehicle which will take you into the rugged area in Kaanapali. From there, 8 zipline routes will show you views of streams and waterfalls. Aside from these adventure-filled activities, you can take helicopter rides to see Maui from above. You can also do kayaking, canoeing, boating, parasailing, and surfing. 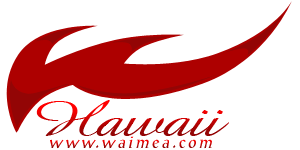 Visit our maui surfing page for additional information for surfing locations and information. Spend a very memorable adventure here in the beautiful island of Maui! Are you looking for a place to unwind and rejuvenate? Surely, you can find this in Maui after discovering the different tourist attractions and trying out an adventurous activity. You can unwind while looking at the picturesque sunset, while sunbathing on a white sandy beach, and while communing with the beauty of nature. Let the beauty of Maui make you forget your worries! In Maui, you can de-stress by listening to the sound of these waterfalls: Alelele Falls, Helele'ike'oha Falls, Haipua'ena Falls, Upper Hanawi Falls, Makahiku Falls, Makamaka’ole Falls, Makapipi Falls, Ohe'o Gulch Falls (7 Sacred Pools), Pua'a Ka'a Falls, Punalau Falls, Upper Puohokamoa Falls, Upper Waikani (Three Bears) Falls, Twin Falls, Wailua Falls, and Waimoku Falls. If you are looking for a place to indulge and pamper yourself, Maui has something in store for you! You can choose from different massage therapies, spa treatments, and facials offered in various Maui spas. Pamper yourself with a seaweed wrap or a lomilomi massage and feel rejuvenated! You can head off to any of these spas for that much-needed indulgence: Grand Wailea Resort Hotel and Spa, Hotel Hana-Maui and Honua Spa Resort, Hyatt Regency Maui Resort & Spa Moana, Westin Maui Resort and Spa, Four Seasons Resort Hotel & Spa, Ritz-Carlton Kapalua Bay Resort & Boutique Spa, Fairmont Kea Lani Resort and Spa, Manale Bay Hotel Spa, Kamakou Preserve, Garden of Eden Botanical Garden & Arboretum, and Kahanu Garden. You can also indulge yourself with the vast choices of the finest restaurants and famous shopping centers that can be found here in Maui. Also, be sure never to leave Maui without attending an extravagant luau. These are just a few things that you can visit and do in Maui to make your vacation a truly unforgettable one. With all the beautiful sights to see and the exciting activities to do, you will also learn a lot about Maui’s diverse and rich culture, history, and ancestry. Another ingredient in Maui’s uniqueness is its people. Your vacation will be more unforgettable and enjoyable because of the warm smiles, welcoming eyes, and accepting nature of its people – the Aloha Spirit. Your Maui vacation will never be complete without experiencing the Aloha Spirit!